Frequently Asked Questions (FAQs) MY ACCOUNT Do I need to create an account to place an online order? At this point, yes you need to create an account to place an order online. The advantage of creating an account is that it makes the checkout process much faster for future purchases—you won’t be prompted to enter your billing and shipping information each time you shop. If you choose to register, we recommend you print your registration page to use for future reference and note your email and password in a secure location. You can change your account information by clicking on Login/Register. Log in and change any information you wish—your email address, billing address, password, stored shipping addresses, etc. You can also delete unused shipping addresses. On the Login/Register page, click the "Forgot your password?" link. You will be given instructions and asked to enter your e-mail address. PLACING AN ORDER Is the American Girl website shopping area secure? Yes, we are committed to providing you a secure shopping experience. For your security, we use the industry-standard Secure Sockets Layer (SSL) technology to prevent any private information you enter from being intercepted. What browser should I use to view americangirlmena.com and place an order? For the best viewing and navigational experience, we recommend using the latest versions of Firefox, Chrome, or Safari. We're sorry that we cannot accept orders via e-mail. Sending personal information, especially your payment information, in an e-mail is not safe or secure and should not be done. If you need to place an order and cannot access the American Girl MENA website, please call one of our stores for assistance. We accept all major credit and debit cards. You must be at least 18 years old to order. We do not accept money orders, cash, or checks for orders placed online. What kind of sales tax do I have to pay when I shop at the American Girl website? If your website order is shipped to United Arab Emirates, Kingdom of Bahrain, Kingdom of Saudi Arabia, State of Kuwait, Sultanate of Oman, State of Qatar you will pay any applicable state and local sales tax. You will receive an order number on screen after submitting your order. We suggest you print this screen for future reference. To receive a confirmation of your order, you must include your e-mail address in the checkout process. Please be sure to provide your full e-mail address, without spaces. You will normally receive an initial e-mail within five minutes of placing your order, although during busy periods, e-mail confirmations may be delayed. A detailed confirmation, including items ordered, shipping addresses, and order total will be sent within two hours of placing your order. Please do not call to check your order status before two hours have passed. Our order system needs time to process the information you send us, and our operators cannot access that information before the system is ready. Please note: The last thing we want to do is ruin a surprise, so please be aware that the detailed e-mail confirmation you receive will include a comprehensive summary of your order. If there is a chance your gift recipient might see this e-mail confirmation, we encourage you to take the necessary precautions to keep the secret! How long does it take to process an online order? In order for us to provide the best customer service, please include your full name and phone number in your e-mail. Actual products may not be identical to items shown. All measurements are approximate. Unless noted, dolls, outfits, and accessories are sold separately. When My American Girl® dolls are shipped, their hair may be in a ponytail and not styled as shown in the catalogue or on the website. Are there any special savings available when you purchase at the American Girl website? Web-only specials are offered periodically throughout the year. You may register with your e-mail address to receive information about these promotions. Special offers and discounts cannot be applied to previous purchases. No substitutions, please. Promotional or sale items are available while supplies last. We reserve the right to limit quantities or refuse orders. May I purchase product in large quantities? Do you offer large quantity discounts? Although we are unable to change or cancel an order once it has been submitted, many products may be returned by calling our call center within 15 days from receiving the shipment, to arrange for collecting the item/s. Once we receive the product/s and inspect them we will refund the amount minus the shipping fees if applicable or you can visit one of our stores with the original proof of purchase from AmericanGirlMENA.com. Can I place an order online with an international billing address? We’re sorry, but at this time our website is unable to accept orders with a billing address outside the United Arab Emirates. Very soon we will be launching delivery to other G.C.C. nations. ORDER STATUS Has my order been shipped? When will I receive it? You can view the status of your online order and track the packages that have shipped using the order status feature at the bottom of any page on the website. I have a question about a previously placed order. We welcome your comments and questions. All comments become the property of American Girl. SHIPPING What are your shipping options and prices? Shipping and processing fees are based on your order total (excluding gift-wrapping charges and taxes) and include the cost of processing your order, handling and packaging your products, and delivering them to you and/or designated recipients. In all other cases the minimum shipping and processinga rate is AED 21 for U.A.E. local deliveries. We aim to deliver within 3 business days. We will attempt to reach you three times to fix a delivery date, time and to confirm your location. Delivery dates are estimates only. Delivery calculation starts on the first business day after the order is placed (business days are Sunday through Thursday, not including holidays). Can I send gifts to more than one shipping address? To ship items to more than one address, please create a separate order for each shipping address. Shipping rates will be applicable as stated above for each order. Can I place an order to be shipped outside of the U.A.E.? We’re sorry, but at this time our website is unable to accept orders with a billing address outside the United Arab Emirates Very soon we will be launching delivery to other G.C.C. nations. Is the package identified as coming from American Girl? For safety and legal reasons, our company name appears on our shipping labels. Please keep this in mind when selecting your shipping destination. We would not want to unintentionally spoil a surprise! SIZING CHARTS Do you have sizing guidelines for the girls' outfits and footwear? GIFT CARDS How do I purchase an American Girl gift card? You can purchase cards in all of our American Girl retail stores. We are currently working on creating online gift cards too. Stay tuned on our social media channels for an update on this topic. Where are American Girl gift cards accepted? American Girl gift cards may be redeemed at American Girl retail stores. American Girl gift cards are not accepted at other retailers locations. What can I do if my gift card is lost, stolen, or damaged? Please protect your card like cash. American Girl is not responsible for replacing lost, stolen, or damaged cards. SPECIAL SERVICES Can I have my items gift wrapped? Unfortunately, gift wrapping is not available for online purchases at the moment. We are working on adding this feature to the experience. Gift wrapping is available in our retail stores. How can I send my doll to the Doll Hospital? Please visit your nearest American Girl retail store to avail this service. How do I get my doll's ears pierced? RETURNS How do I return an item(s) I purchased from American Girl? A refund of the purchase price is available with your original proof of purchase from American Girl (store receipt, packing slip or order number) within 15 days of purchase. A refund or credit will be issued for the purchase price, current list price, or prorated price depending on the item(s) returned. We reserve the right to assess the value of items returned. Be assured we’ll do our very best to take care of you, but from time to time we will not accommodate a return. Items designated as "final sale" cannot be returned. Shipping and processing fees are non-refundable. 1. Bring it in: You may return your items(s) at any of our U.A.E. American Girl locations within 15 days of purchase. Please note: Merchandise purchased from an American Girl retail store in the US, over the phone from the U.S.A. customer service department, or at americangirl.com can only be returned to a US retail store or sent to the American Girl Returns Department. We only accept returns of products purchased directly from American Girl U.A.E. stores. Please return all other products to the original place of purchase. Merchandise purchased from an American Girl authorized reseller can only be returned to the same reseller. All returns are monitored and may be limited. For online orders, please provide the order number or packing slip. For retail purchases, please include a copy of your receipt. Online product registration is not considered proof of purchase for returns purposes. Will my refund include sales tax? If the customer receiving the refund resides in a state where sales taxes are applicable, then the appropriate tax will be applied to the return item(s). I live outside the G.C.C. How do I return an item(s)? Please contact one of our retail stores here in the U.A.E. One of our store staff will try and help you out. Please provide the name and address of the original purchaser to us on our social media channels or our retail stores. We will attempt to locate the original order information to verify proof of purchase. The purchaser will be notified of your return and payments will be reversed on their credit / debit card. If you have a retail gift receipt, please visit the nearest American Girl retail store to request a return and refund. The original proof of purchase will be required at the retail store. What is a return reason and why do you need it? A return reason explains why you are returning an item(s). We may email or call you to gather your feedback on this from time to time. This information helps American Girl identify potential improvements to products. How do I contact American Girl? You can reach us via email, phone or simply visiting our retail store! Why do I sometimes get a message that the server is busy, unavailable, or unable to locate the page when I try to log into americangirlmena.com? The American Girl website receives quite a bit of traffic, especially during the holiday season. We attempt to balance our traffic load, but sometimes the demand exceeds our capabilities. Please be assured we are doing our best to meet your needs. We thank you for your patience. If you receive a message about the server being unable to locate the DNS entry, please make sure you have typed in the correct website address, and try again. If you continue to have difficulties, quit the browser, re-launch it, and try the website address again. How can I get additional feedback on my technical problem? Your e-mail address or phone number, indicating a preference for how you would like to be contacted Our friendly Customer Service representatives should be in touch with you within 48 hours. However, response times may vary depending on the volume of e-mail. Why should I recycle button-cell batteries? Recycling batteries is a way to reduce the amount of mercury in your local landfill. What types of button-cell batteries are used in American Girl products? Alkaline-manganese and silver-oxide button-cell batteries are typically used in watches, toys, and calculators. How can I purchase stock in American Girl? American Girl is a subsidiary of publicly traded Mattel, Inc. Visit www.mattel.com for more information. Can I enter into a franchise agreement to open up an American Girl store? American Girl retail stores are not available for franchise. How can my girl become an American Girl model? American Girl works with professional modeling agencies only. What precautions do you take to ensure that my privacy and security are protected online? Your privacy and security are a top priority. We use industry-standard protections to maintain safe transactions and information-sharing. Please review our Privacy Statement for more information. What technical requirements do you require to enjoy the richest online experience? Our site requires an Internet-capable computer with a web browser, Java Script, cookies, and plug-ins (Adobe Acrobat Reader, Flash, and Shockwave). How do I request permission to use editorial content and other protected properties like images, names and logos? All requests to use American Girl's intellectual property must be in writing, so please e-mail with your specific request. How do I know what properties are protected? All printed materials are protected by copyright. See our complete list of trademarks. We offer a 100% guarantee on all American Girl® merchandise. If you are not completely delighted with your purchase, please return it for an immediate credit, or refund. A refund or credit will be issued for the purchase price, current list price, or prorated price depending on the item(s) returned. Please read our returns policy to know more. 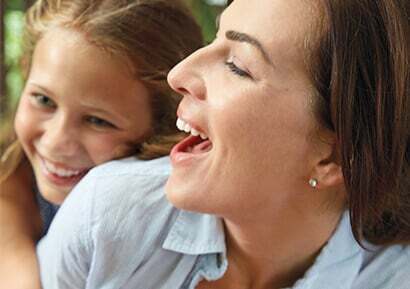 How do I know which products are age-appropriate for my girl? Every American Girl® product is labeled with an age-grading icon to ensure your purchase is appropriate to the age of the recipient. Age-grading information is also available on our website's e-commerce product pages and in our catalogues. Age-grading is determined by which developmental stage the product is most appropriate for. How does American Girl ensure products are safe? 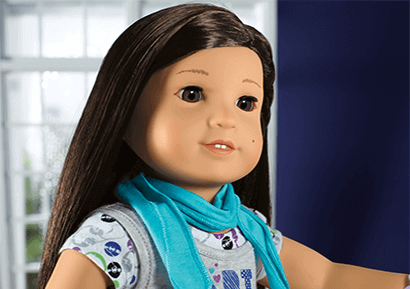 Our priority is the safety of the children who play with our toys, and American Girl has some of the most rigorous quality and safety testing in the toy industry. We monitor all of our vendors and demand testing results for all of our products to ensure that they meet or exceed US Federal Safety Requirements. In addition, our products are continually monitored by our internal Product Integrity Group, as well as an independent monitoring program to ensure objective checks and balances to evaluate compliance to our stringent standards. If any problems are discovered, we are committed to taking prompt, responsible corrective action. How can I be sure my American Girl® product is genuine? You can be certain your product is authentic if purchased at americangirlmena.com, in one of our retail locations. American Girl also distributes print products and small gift items through well-known, reputable booksellers and retailers nationwide. If your product was purchased elsewhere, we cannot guarantee that it is genuine. 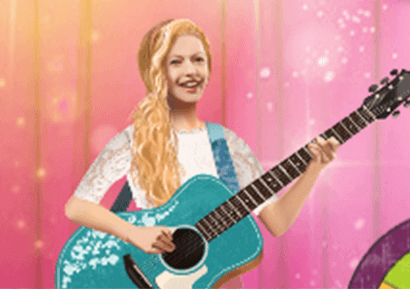 How can I purchase American Girl® products? You can buy genuine American Girl® products in a variety of convenient ways: at americangirlmena.com; at any of our G.C.C. retail locations. Please note that we do not sell American Girl products at our corporate headquarters location. Why are some of the products I wanted to order no longer available? Like every company, American Girl is constantly revitalizing our products to best meet the needs of our customers and our business. 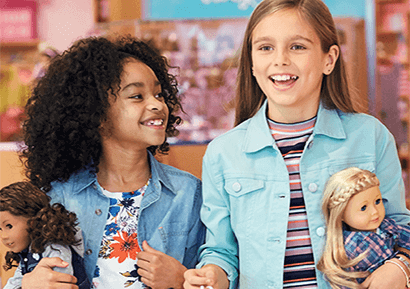 While some items are discontinued, many other products are added to keep American Girl interesting and engaging, and to celebrate who girls are today. How should I clean my girl's American Girl doll? American Girl dolls are meant to be played with, so now and then, they'll probably need a bit of a clean up. Check out our helpful hints for skin care in the Hair & Skin Care section to have your girl's doll looking fresh and clean in no time. Can I wash doll hair? If so, how do I wash it? We don't recommend regular washing of the doll's hair since it can make it frizzy and damaged. However, sometimes spills happen and her hair needs to be cleaned. If that's the case, we can help. Visit your nearest American Girl retail store to get some help regarding this topic. What's the best way to brush doll hair? How can I make doll curls look like new again? One of the doll's eyes won't open anymore. Should I admit her to the Doll Hospital? Before admitting her, please call your nearest retail store for a consultation. We'll ask you to describe what you believe caused the problem and provide any other details regarding the doll's eye. Our doll doctors can assess the situation and give you the best advice on whether she can be fixed at home or needs to be admitted to the Doll Hospital for expert care. The neck cord on the doll is cut. What should we do? On American Girl dolls, the neck cord is used to secure the head to the doll's body. It's designed to remain outside of the body instead of being tucked in—or, oops, cut off—so that we can easily replace a doll's head if necessary or make other repairs. If her head has come unattached, please send your doll to the Doll Hospital for a head reattachment. My doll's head has come off. How do I tie the head back on? Lay the doll chest-down, across your lap. Insert the head into the body face up. Crisscross the two ends of the string, and pull the ends tightly using slow, even pressure (so the seam does not rip out) until there is no gap between the neck and body. It can be helpful to have a second person assist by keeping the tension tight. Double or triple knot the string to secure it. Carefully turn the doll's head back to its original position. One of the doll's legs is loose and wobbly. Can I fix it at home or do I need to send her to the Doll Hospital? Occasionally the elastic cords used to attach a doll's limbs to her torso seem too stretchy. However, this stretch, called "pliability," is necessary for the cords to last longer. Without pliability, the cords would easily fray because of the extra tension on them. If the limb seems very floppy and the limb dangles from the socket, it's definitely time to send her to the Doll Hospital for a limb reattachment! Our dog chewed one of the doll's arms and ruined it. What should I do now? Ouch! We're sorry to learn your dog used your doll as a chew toy, but we can help! Our expert doll doctors will be happy to replace the limbs, head, or torso on your doll. To learn more about Doll Hospital services and prices, please visit our Doll Hospital in your nearest American Girl retail store. How do I remove ink from my doll's face? A damp washcloth may help to remove lighter marks, but ink or marker stains may require more effort. For these tougher stains, please contact us at our retail store and we can provide a stain removal process you can do at home that is highly successful. You also have the option of admitting your doll to the Doll Hospital for a limb or head replacement. What services does the Doll Hospital provide? At the Doll Hospital, "major surgery" services include reattachment of both head and limbs or head, limb, or body replacement. We also offer a "wellness visit" featuring skin cleaning and hair brushing. This service is included for any repair performed at the Doll Hospital. Sorry, we only treat American Girl dolls. Due to safety concerns, if you want to admit a doll that has been contaminated in any way, please pack the doll in a sealed plastic bag and inform our retail staff before bringing it into the store. How long does a visit to the Doll Hospital usually take? A Doll Hospital visit take approximately two to four weeks, depending on volume, from the date of admission for the patient to return home. Because of the high volume of patients sent in December, we recommend that any doll who needs to be home in time for the winter holidays, be admitted to American Girl retail store no later than the middle of November. I sent my doll to the Doll Hospital. How can I learn about her status? Dolls are repaired in the order in which they are received, and they remain unopened in their boxes until it is their turn to be admitted. During this waiting period, we are unable to provide a status update, but as soon as we admit your doll you will receive an email or a call confirmation and we’ll email or call you again when the doll is ready for pick up. My doll's hair was cut. Can I replace her wig? Regretfully, our Doll Hospital staff is unable to replace wigs. To ensure the wig will not come off, our doll manufacturer applies permanent glue. To remove the wig would be very difficult and could result in damaging the doll's head. If there is a problem with the hair, the entire head must be replaced. Can I remove the wave from braided doll hair?